Our long term partnership with Microsoft and our constantly renewed certifications and competencies validate our know-how on key Microsoft technologies. Through constant training and evaluations, our team is permanently up to date on all major Microsoft technologies such as Office 365, Azure, SharePoint, Windows Server, MS Exchange or Microsoft Dynamics CRM. The Gold Solutions Cloud PME competency recognize the expertise of all Microsoft Cloud tools including Office 365 and Microsoft Azure. It validates the experience of our teams in Cloud Solutions implementation for small and medium structures on topics such as Mobility, Collaboration, Team work, Improvement of team productivity, Sales management and Customer service. The “Silver Messaging” competency validates our expertise on MS Exchange technologies, and each related scenario, on site or in the Cloud. Because needs are increasing, small business owners need a unique person of contact able to provide solutions and services tailored to their requirements and resources in the cloud or in a specific on-site environment. Our “Microsoft Specialist SMB” label guarantees a knowledge and a recognized experience regarding the needs and issues of small businesses. 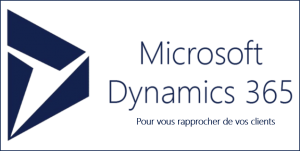 With our expertise on Microsoft Dynamics CRM & Microsoft Dynamics Online, we can offer various Dynamics platform tools either on-site or in the Cloud (Sales, Customer service, Field Service, Project Service Automation Microsoft) and to advise our clients regarding the solution customization and the project implementation. Thanks to our AER certification, we can offer to our Education related clients Microsoft Education licenses with preferential rates. Our method consists of presenting a comparative offer with different licensing scenarios to optimize your costs.